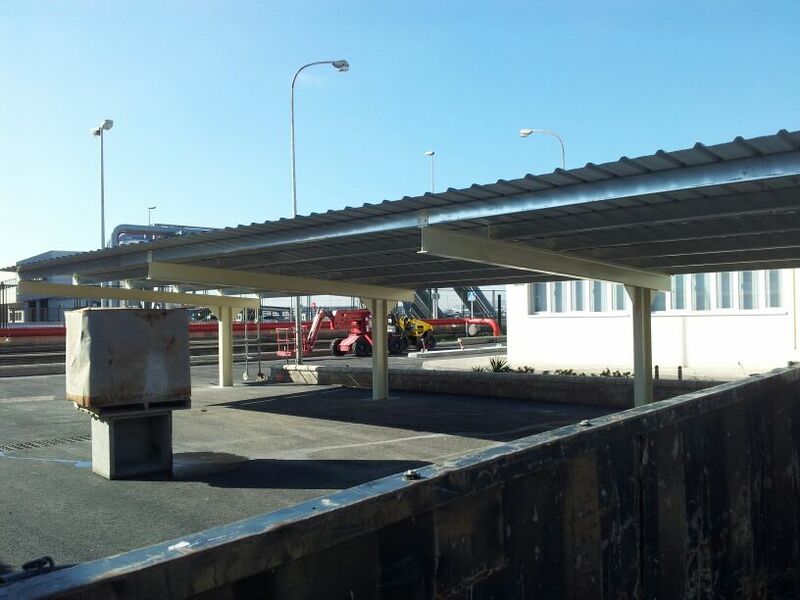 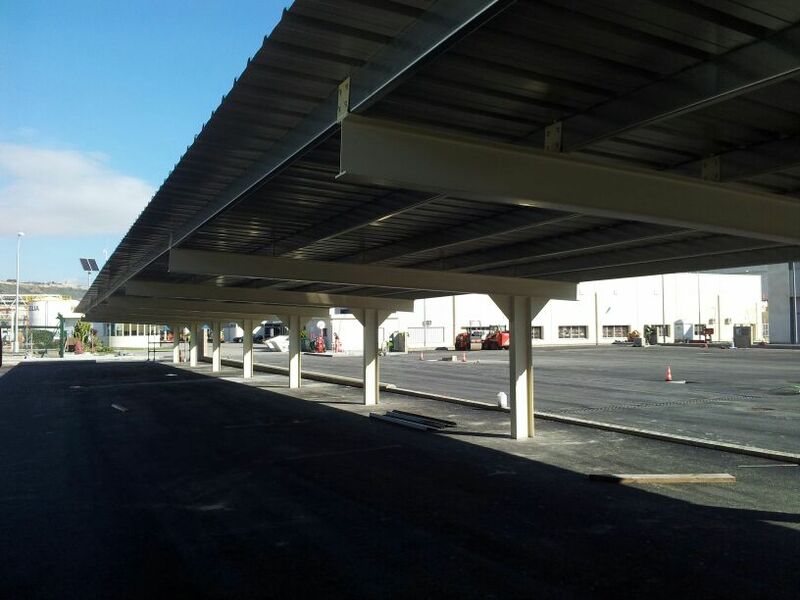 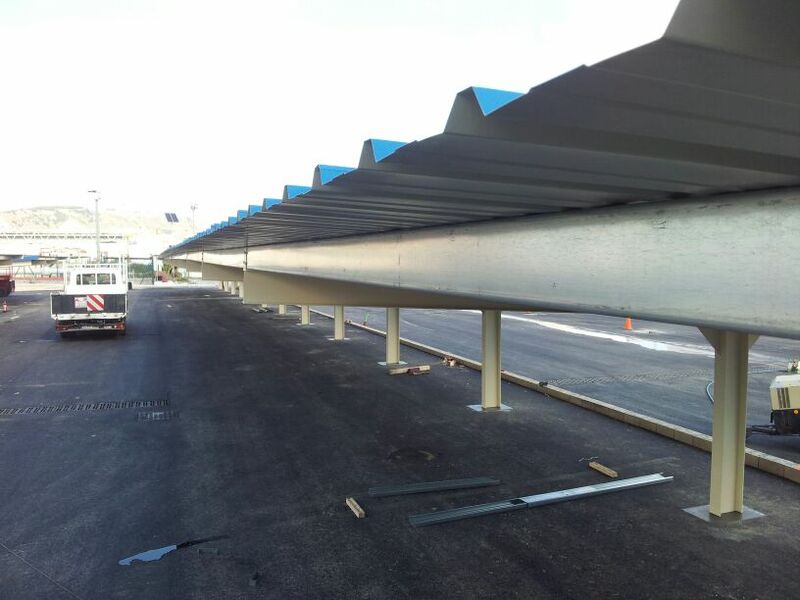 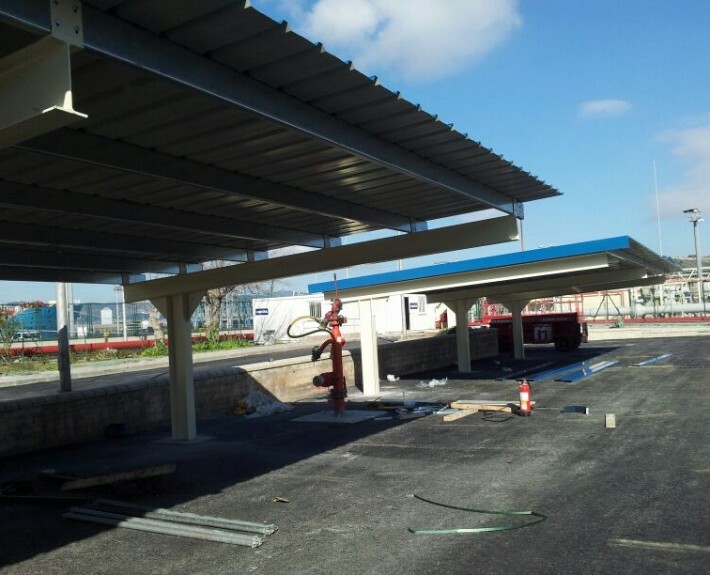 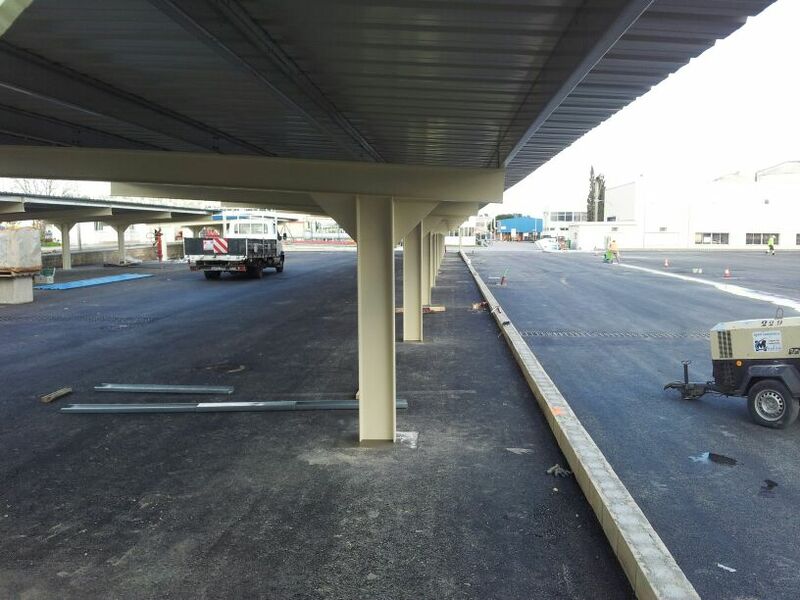 In these pictures you can see the installation of parking canopies for the plant of ENAGÁS in Barcelona. 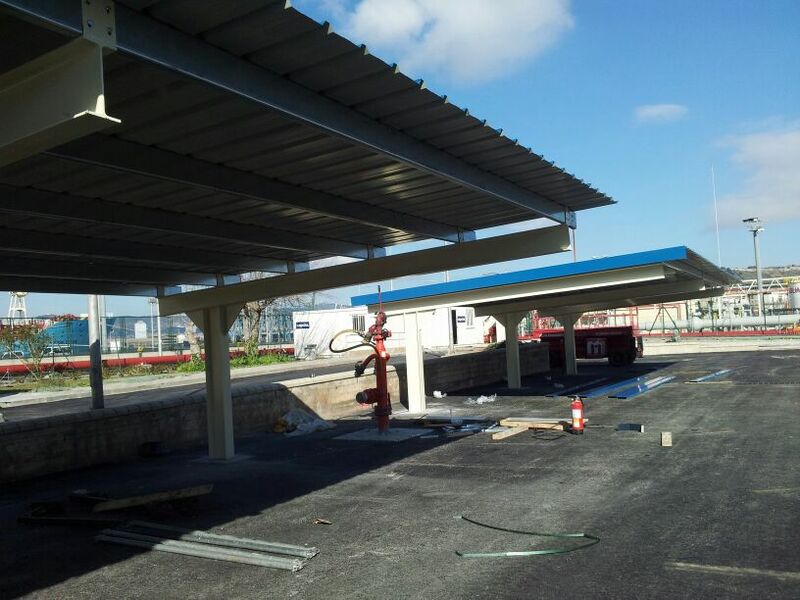 The fabrication was conducted with a IPE model of laquered cover sheet that was asked by the client. 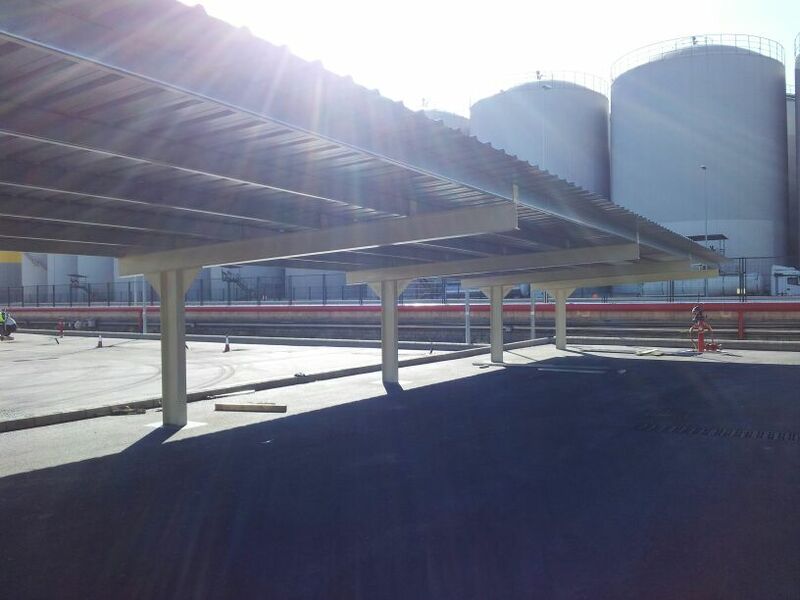 The installation took place in the first week of february. 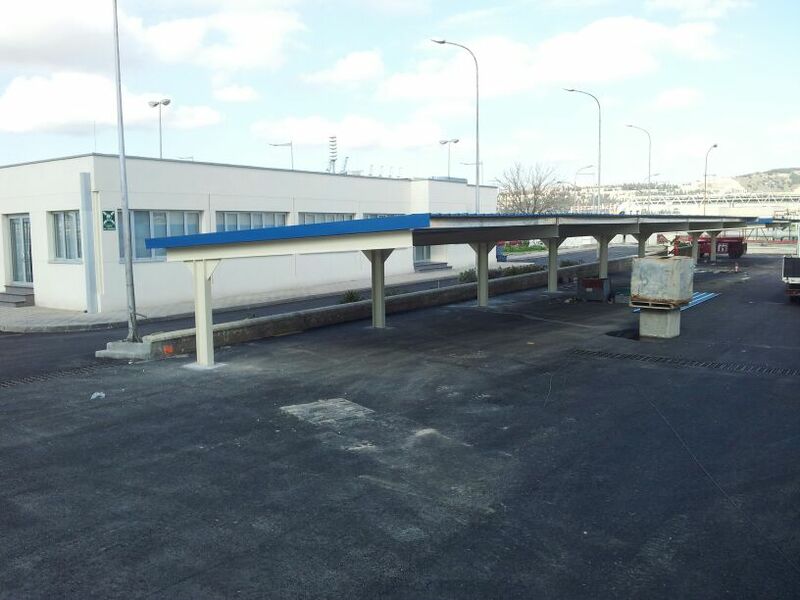 Estructuras Tubulares Europa SL continous to be the spanish leading company in fabrication and installation of metal parking canopies.